The pursuit of happiness has been a principal goal of mankind throughout history up to the present day. As a key topic of interest in all fields from literature and philosophy to religion and science, we continue to formulate new theories on well-being. The latest research on positive psychology reveals surprising insights into why happiness is important, how we can increase our happiness levels and what optimal levels are. 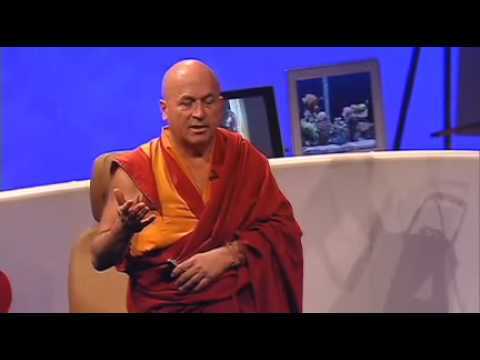 Matthieu Ricard is a French Buddhist monk, author and photographer, popularly known as the “happiest person in the world.” In this TED talk, he uses both religion and neuroscience to discuss the definition of happiness and how we can be happier by training and transforming the mind. Did you know these three things about happiness? In an analysis of over 200 studies on well-being, Lyubomirsky, King and Diener found that work life is more strongly associated with happiness than social relationships. The evidence goes both ways for this effect: it seems obvious that people who have fulfilling jobs are happier, but what’s less obvious is that there are advantages for people who were happy to begin with. Happy people in the workforce get more interviews, get better jobs defined by autonomy and meaning, are better evaluated by supervisors, are more content with their jobs and are more productive in their work. Furthermore, people who score higher on happiness scales hold leadership positions more often and the positive effects trickle down: happy leaders manage happier and healthier employees. An early happiness theory refers to a “happiness set point,” a genetically predetermined level of happiness. What happens is something called hedonic adaptation, which suggests that we all go back to our normal baseline levels of happiness after peak experiences or rough valleys in life. Some people call this “the hedonic treadmill”: no matter where you try to go or how much you try to be happier, you’ll find yourself right back where you started. Fortunately, the outlook isn’t as pessimistic as scientists first thought! Lyubomirsky, Sheldon and Schkade’s sustainable happiness model demonstrates that the set point isn’t the whole story. They propose that genetics and your happiness set point only account for 50% of your happiness level. Ten percent of your happiness depends on your current circumstances and intentional activity accounts for 40% of your happiness! What’s important is that the activities you do to increase happiness come from an accumulation of personally meaningful small experiences that you truly enjoy. To block adaptation, you also need to choose activities that grab your attention by diversifying what you do that makes you happy, varying when you do it and looking for novelty. In a 2007 study, Oishi, Diener and Lucas studied happiness in around 120,000 people from around the world in both cross-sectional and longitudinal studies. They discovered that there are optimal levels of happiness for certain areas in life. When it comes to social relationships, people who were happiest were most successful in their relationships, but the same wasn’t true when it came to “achievement outcomes,” such as income and education. In general, people who are moderately and not ecstatically happy are the ones who make the most money and are the most educated. The researchers explain that a slight level of dissatisfaction with what you have motivates you to work for more. That need to achieve comes from striving for perfection. How have your natural happiness levels affected your quality of life? Tell us in the comments below! This entry was posted in Careers and tagged happiness, happiness and work, happiness research, happiness set point, hedonic adaptation, hedonic treadmill, learn to be happy. Bookmark the permalink. Post a comment or leave a trackback: Trackback URL. I have seen the TED presentation- and enjoyed your three additions- especially about being too happy! This is an interesting post, Samantha. I was somewhat surprised to read that work life is more strongly associated with happiness than social relationships. I agree that being unhappy with the status quo motivates you to work harder. I believe in the old saying, “Happiness is the journey, not the destination.” Happiness is living in the moment and having an attitude of gratitude. In today’s world I can’t imagine anyone being too happy. We need more happiness and we need to recognize that we chose to be happy or unhappy. Video is beautiful. Himalayas are amazing. Loved being there but not in Tibet (India). I totally agree that by changing your mind you can change your level of happiness. The mind is incredibly powerful. My daughter has recently been attending a buddhism course and I already see a positive change in her level of contentment. The research is interesting. The other big congruence for me is that 40% of happiness is intentional. I couldnt agree more – its in what we believe, what we think, where we focus and what we do. Wow! What a great testimony, Maureen, to hear about how you have observed the changes in your daughter! Thanks for sharing that! I’ve always been really interested in Buddhism too. This is a great subject that you are discussing here Samantha. Happiness and joy are my favorite words. Being happy really doesn’t take much, for me anyway, it seems easy. I see too many people fall victim to the drama to drag them down and make the excuses to put a frown on their faces. Little do they know that energy is way too much to waste on such trival matters. Smile each and every day, look for the good in everthing and even when the moment seems the worst, think of something to make you happy and bring joy back into your life! Wow, you really got me on my soap box here Samantha! Great post, Sam! Finding happiness in my work-life is essential to personal and professional satisfaction, physical and emotional health, and living a great life! One of the reasons I started my blog was because I noticed there seemed to be a lot of advice about happiness in one’s personal life, a lot of advice about “career success” (getting a raise, promotion, etc.) and far less wisdom being shared about being happy at work. Yes, it’s possible at any and every job (where working conditions are acceptable)! I’m glad to find other bloggers writing about happiness at work, instead of happiness through a bigger, better career. I enjoyed reading your post today. Thanks for sharing! It’s true — finding happiness seems to underlie so many aspects of a “great life”! I have always seen that when I am happy – state of mind I seem to enjoy things more and take on less stress and somehow work better! Happiness is different for all and totally depends on how you are looking at it but what matters for me is how content I am… that for me is happiness! Me too, Hajra! Happiness makes life smoother. =) And you’re right that it’s very individual. =) Love your definition! Well, on happiness from work, the author of “Flow” Mihaly, C. did mention the happiness derived by a surgeon from surgery work, when he performed the surgery in a state of flow. Presumably, happiness is a generic term to cover the species of feelings such as fulfillment derived from work (of a meaningful calling) joy of achievement (having completed a tedious hill climbing trip) contentment (of a harmonious,loving relationship with family), fun ( from laughters and teasing over tea gatherings with friends), excitement/awe (when there is a sudden insight)….well, the key is to enhance one’s efficacy for happiness by engaging in sufficiently challenging activities or enjoyable activities often, especially when being performed with novelty or innovativeness. It’s so great to meet you Sangeng! =) I love Csikszentmihalyi’s idea of flow! Thanks for bringing that up and it’s something we should definitely aim for both in our lives and in our work. That’s such a great way to put it, Sangeng! I really couldn’t have put it better myself! On the way to Lima last week, there was a random guy on the bus who talked about much of the same that you did in terms of values and being better citizens/people. If only we all thought about what true happiness really means. =) I love Lao Tze’s ideas and theories! Thanks for bringing up an amazing philosopher.